Found this dandelion among the fallen leaves on Monday. Kind of a cheerful sight, but talk about terrible timing: Milwaukee is predicted to get approximately three inches of snow this morning (Friday, November 9)! 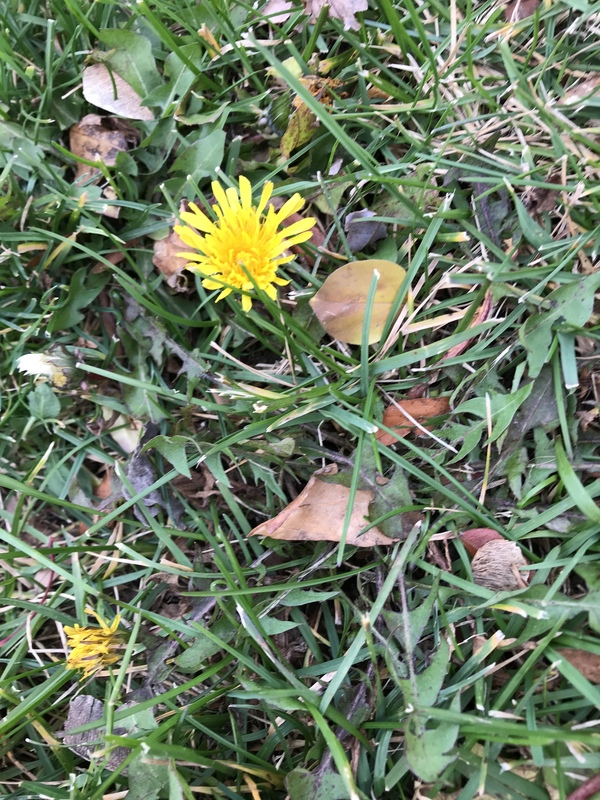 This entry was posted in Life, Milwaukee, Nature and tagged late bloomer, Milwaukee, November dandelion. Bookmark the permalink.